Some extensive military operations were mounted at various times after Guilford Courthouse in an attempt to stop the depredations of the British Loyalist troops. Although little documentary evidence exists concerning the details of the battles with the Tories, it appears that one of the major skirmishes took place in July 1781 at the mouth of Sandy Creek, where several roads crossed at a ford across Deep River. 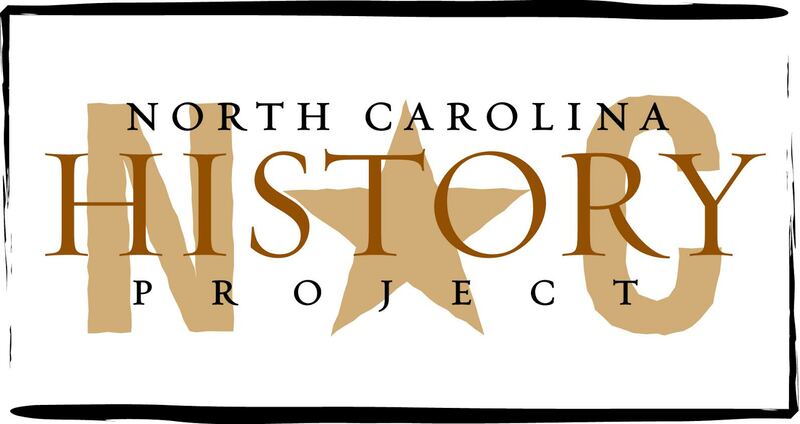 In the 1980s, Randolph County historian Barbara Newsome Grigg discovered the only records of this battle, contained in pension applications in the National Archives. In June 1832 Congress had passed a bill authorizing pensions for any surviving veterans who could provide proof of Revolutionary War service. All over the country aged vets made their way to county courthouses where they could be deposed by local judges and provide the sworn statements required by Congress. None of the three veterans who recount battling the Tories in Randolph County even lived in the county when they made their statements. All were recounting events from more than 50 years before, so details are sketchy. For the fully transcribed pension applications of each man, see my entries for November 11, 12, and 13th, 2008. Henry Morgan (born in 1758 in what is now Randolph County) fought with the state militia from 1779 to 1781. James Morgan was born in Maryland in 1760 but soon moved to the area and first volunteered for service in 1781 in Randolph (his relationship to Henry Morgan is not yet clear). Edward Beeson was in 1834 unclear even about his own birthday (estimated to have been in 1756), and thought he entered military service about the year 1778 in Randolph. Henry Morgan provides the most detail about the area’s primary battle with the Tories, and even names in “The Battle at the Mouth of Sandy Creek.” James Morgan provides only a brief outline of events. Edward Beeson is very shaky on dates and places, but very good about names and people. Edward Beeson says “Their objective was the destruction of the Tories. Next day, after they left Johnstonville, their place of rendezvous, their Captain and three men were killed by the Tories who waylaid them. The Tories were commanded by Major Rainey, and fired on them from a steep hill on the side of Brush [Sandy?] Creek. After Brower was killed, Woods became Captain and this deponent became Lieutenant. They pursued the Tories about forty miles to Fork Creek and there besieged them in a house belonging to one John Needham. In the morning before they got to Needham’s, their Colonel (Dougan) joined them. “This deponent was ordered with half of his company to attack the back of the house under the concealment of an orchard, while the rest were to attack in front. This deponent’s company were the first who took possession of the same, those in front having feigned a retreat to draw out the Tories, which accordingly succeeded. Twenty-one were killed, seven at the house, and fourteen at the place where they kept the horses, the Tories having fled there, to where they were concealed on the bank of a Deep River, where Colonel Dougan had himself gone with a detachment, to surprise them if they should be driven from the house. After the battle of Guilford Courthouse in March, 1781, the local militia forces in Randolph County were engaged in fighting local Tories. In July, while moving from Johnstonville towards Chatham County, the Whig forces were ambushed at or near the mouth of Sandy Creek where it enters Deep River. Tory forces, perhaps under the command of “Major Rainey” (Raines?) “fired on them from at steep hill on the side” of the creek (the western side of Sandy Creek is a bluff fifty to seventy feet above the water level). Three Whigs were killed, and several wounded. In the Morgan’s company, Henry Morgan and his lieutenant William York were wounded; in Beeson’s company, his Captain David Brower was killed. Henry Morgan says that the others killed were David McMasters and Joel Benje. If Beeson can be trusted, the Battle at the Mouth of Sandy Creek was followed by another battle on Fork Creek within a day or two (he says it occurred 40 miles away, which would have taken at least a whole day to ride on horseback) which killed 21 Tories and captured a number of prisoners. Originally published at Notes on The History of Randolph County, NC, http://randolphhistory.wordpress.com/2009/01/19/battle-at-the-mouth-of-sandy-creek/ (accessed November 16, 2011). Republished with permission of the author.